Hey, Dwight Howard, Make Up Your Mind!! He’s going. He’s staying. He’s going. He’s staying. He wants the coach fired. He doesn’t want the coach fired. He’s going. This is what we have had to put up with from (the soon-to-be-ex?) 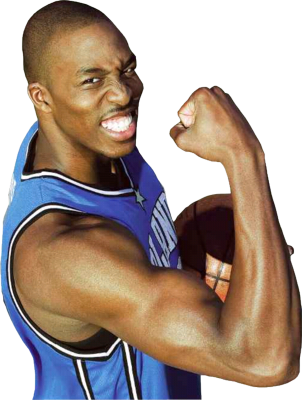 Orlando magic center Dwight Howard all season long. And we’re going to have to put up with it all summer, too. 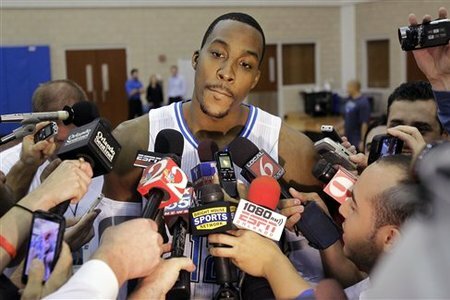 It should come as no surprise that it is being reported that Dwight Howard wants out of Orlando. Again. Keep in mind that the Magic have fired head coach Stan Van Gundy (per Dwight’s request) and GM Otis Smith (probably per Dwight’s request, too). They have done all this just to appease their super diva center. And he’s still not happy. If the Magic have any sense at all they will trade him as soon as possible. The longer Dwight stays, the more damage he can do to the organization. I have never seen a single player wreak havoc on an organization like this before. And that includes Terrell Owens and Latrell Sprewell. It’s no secret that Howard desperately wants to play for the Brooklyn Nets. And if the NBA Lottery goes Brooklyn’s way, he may just get his wish. The scenario goes like this; if the Nets win the Lottery (they have a 7.5% chance) they would trade the #1 pick plus some players to Orlando for Dwight Howard. That would make Brooklyn a contender with the duo of Deron Williams and Howard and the Magic could build around the presumptive #1 pick, Anthony Davis. Everybody wins. The question is, will the NBA rig the lottery like they (allegedly) did for Michael Jordan and the Washington Wizards back in 2001? For once I hope the fix is in because I don’t know how much more of the Dwight Howard saga I can take. 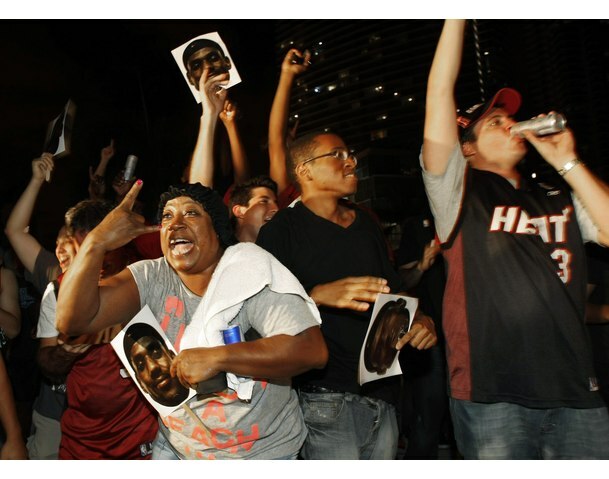 Heat Fans Are (Somewhat) Smarter Than ESPN!! While ESPN is desperately waiting to give LeBron James his first championship it, is the Miami Heat fans that are injection some sense into the circus that has followed the Heat for the last month. Kind of. In a recent open scrimmage, Heat fans burst into a “Beat L.A.!” chant. While that is extremely premature, it does prove one thing: Even front running Heat fans know the Los Angeles Lakers are the team to beat. Now if we can just get someone at ESPN to realize this because they are “All Heat, All the Time” now that the NBA season is at hand. And let’s not forget about the other teams in the league, especially those in the Eastern Conference. I’m sure the Boston Celtics, the Orlando Magic and even the Chicago Bulls will have something to say about who faces (and loses to) the Lakers in the Finals. Don’t get me wrong. I’m all for being optimistic, especially when it comes to sports. (Hell, I still believe that the Dodgers will make it back to the World Series before I die! )But there is a fine line between optimistic and delusional. The Heat fans and ESPN are right up against that line. It seems like every young star in the NBA wants to form a Super Team and contend for a title. Chris Paul is the latest player who has swallowed the Kool Aid and I feel sorry for him. He’s trying to follow in the footsteps of LeBron James, and I feel that he will fall even farther than LeBron did. The average fan has no more tolerance for this kind of stuff. 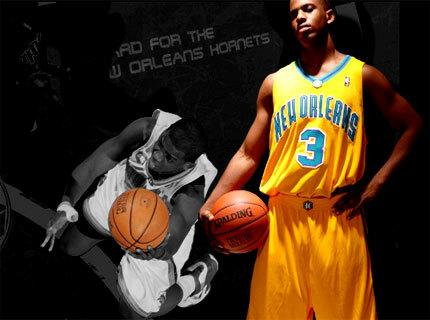 Chris Paul means a lot to the city of New Orleans. Just like the Saints do. Like LeBron once meant to Cleveland. And now he wants to leave and go to a contender. His first sets of teams were the New York Knicks, Orlando magic or the Los Angeles Lakers. (Thankfully the Lakers signed Matt Barnes. A move that I wholeheartedly agreed with.) Now he has dropped the Lakers and added the Portland Trailblazers and Dallas Mavericks to his wish list. I have no problem with a free agent going to wherever he wants. But there is one thing that you have to remember: Chris Paul still has two years left on his contract. He is forcing a trade. Or maybe he’s bluffing. So maybe this is more of a Kobe Bryant move than a LeBron move. Not quite. Kobe was talking about going to the Los Angeles Clippers or the Chicago Bulls. Neither of those teams had a superstar for him to join up with. He was going to be The Man on both of those teams. So this is more of a LeBron-I-Can’t-Do-It-On-My-Own move. And make no mistake about it; any team would love to have Chris Paul on their roster. He is in the top five point guards of the NBA. Chris Paul is fifth only because he has been injured. And once you have been injured it’s very possible for you to continue to be injured. Just ask Andrew Bynum and Greg Oden (aka Mr. Glass). So if Chris Paul leaves New Orleans I certainly hope he can stay healthy because whatever team signs him will be totally screwed if he gets hurt again. If he goes to New York he is definitely hoping that Carmelo Anthony joins him in 2011. And that is a pretty big leap of faith. I don’t know what he’s thinking if he goes to Dallas or Portland. Both teams are good but there is no way they are getting passed the Lakers. He might as well stay in New Orleans and be a pillar of the community. Orlando makes the most sense for him. The magic can ship Vince Carter and Jameer Nelson to New Orleans in exchange for Chris Paul (I refuse to use the name CP3). That makes an already loaded Eastern Conference even more interesting. You have the Big Three in both Boston and Miami, Chris Paul and Dwight Howard in Orlando and a reloaded Chicago Bulls team. Those four teams might be able to shake the “Leastern Conference” label once and for all. Those four teams will make the second round of the Eastern Conference Playoffs VERY watchable. As opposed to the last ten years. And any one of those teams will lose admirably to the Los Angeles Lakers.